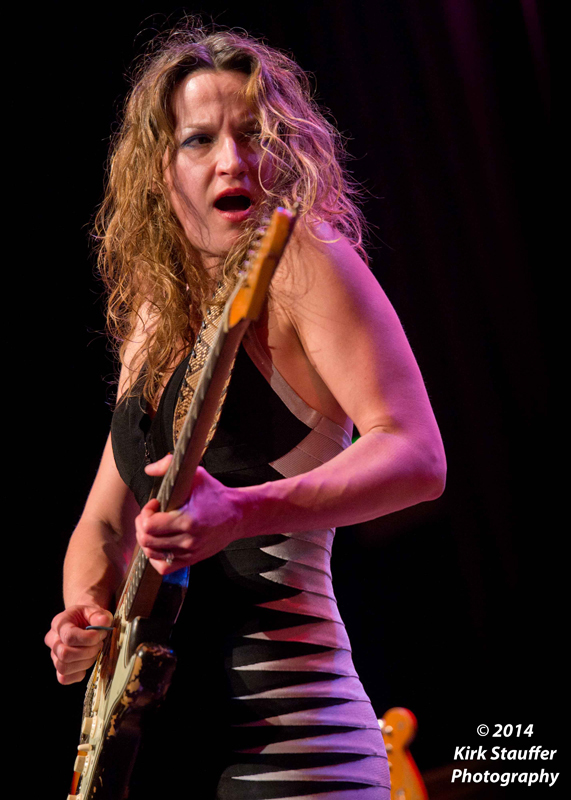 Ana Popovic is in Seattle! She’s got two nights at Jazz Alley (sorry about the late notice, and that you might be missing her first show, which is tonight), where she’ll play her second show as well at Jazz Alley tomorrow, Tuesday June 28th. The blues/jazz/funk singer-songwriter has given fans eight extremely well-reviewed EPs, and, having a vigorous voice combined with expert, passionate guitar skills, Popovic is in the lead of current blues music. She’s a great. When she starts off her new work, Trilogy, with “Love You Tonight,” it’s all about confidence – and, of course love. Popovic, now based in Memphis, Tennessee, survived the Balkan War after being taken in by The Netherlands. I mention this for a couple reasons: it’s a blessing she and her family made it, and, how amazing it is she got into the blues! Written by: Dagmar on 06/27/2016. This entry was tagged Ana Popovic. Bookmark the permalink.